Are you experiencing back pain? If so, you will want to come and visit us at The Spine Clinic at Neuroscience and Spine Center of the Carolinas. At our spine care center, you will be able to meet with our board-certified neurosurgeon, Dr. William Hunter. Dr. Hunter is board-certified with the American Board of Neurological Surgeons. He has more than a decade of experience in helping patients who need spine care. If you would like to see our highly trained and highly regarded spine doctor in Gastonia, make an appointment today to visit him at our practice. Dr. Hunter is a lecturer at Duke University, and travels nationwide to teach doctors about minimally invasive surgery techniques. He has brought innovative microsurgical techniques to the patients of Gaston Memorial Hospital. This hospital has a leading spine care program. At our practice, we not only are able to provide patients with exceptional spinal surgery, but our doctor may also recommend conservative treatment options including over-the-counter and prescription medications, physical therapy, and restricted physical activity. Our spine doctor in Gastonia treats each patient as an individual, and will carefully assess each situation to make sure that each patient receives the very best treatment options for their particular spine needs. If invasive therapy is needed, our spine doctor is able to provide you with a variety of different surgical options. When a patient comes to our practice for care, our goal is to relieve the patient’s pain, and help each patient to maintain usual activities as much as possible. 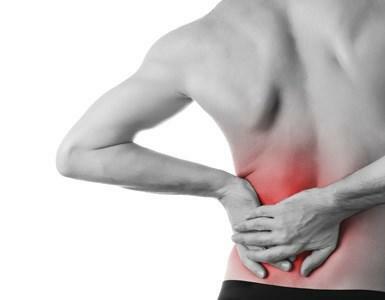 We also make sure that our patient will be able to have permanent injury to the spinal cords and nerves prevented. Our spine doctor in Gastonia is able to provide several different surgical alternatives including: anterior cervical discectomy and fusion (ACDF); transforaminal lumbar interbody fusion (TLIF); lateral lumbar interbody fusion; spinal fusion; and decompression laminectomy surgery. This last procedure is the most common and involves removing the bones or ligaments that press on the spinal cord or nerves. Different approaches can be taken to surgery, and will correspond with the patient’s individual needs and additional information that is learned from the patient’s MRI evaluated. Our spine doctor also offers micro-surgical techniques which will minimize patient discomfort and recovery time. For an appointment to see our top-notch spine doctor, contact our office.